To some people, they see yoga as some form of culture, while others see it simply as a form of exercise, and while both aren’t wrong, they aren’t entirely correct as well. If you ask professional yoga instructors about it, they would tell you that yoga is a way of life, a practice of channeling inner balance to your body and spirit in order to strengthen it, make it more flexible, relieve stress, and help it become more tolerant to these factors. You can also read corporate business cards. There are a lot of people who are still skeptical about doing yoga, most especially men. When they decide to get engaged in workout sessions, the usually only do cardio and resistance routines. While running and pumping iron are effective for in working you physically, it won’t have any effect on your inner being, which is why they should also include yoga in their routines. With yoga, they not only get to work their bodies, but also their spirit. You may also see free business cards. All that said, if you’re a trained yoga instructor and you wish to promote yoga to people, it would be important that you build rapport with your prospects first, and one way of building a trusting relationship is by introducing yourself formally. 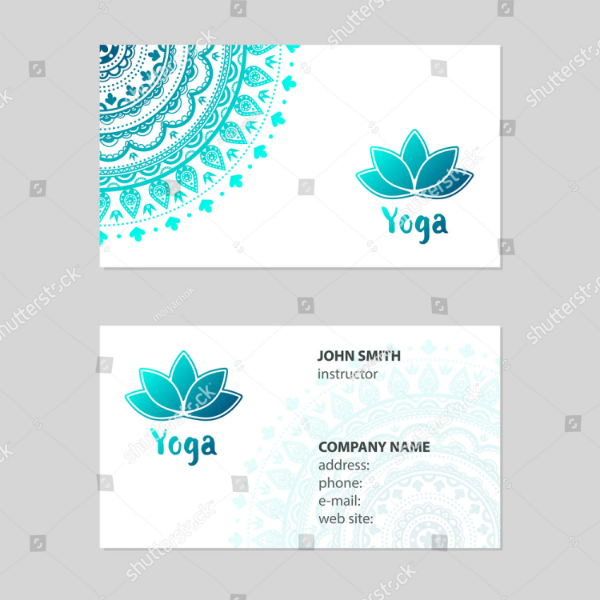 Here, we have gathered for you various business card designs and templates specifically for yoga instructors. These templates are all downloadable and editable, so go ahead and knock yourself out. 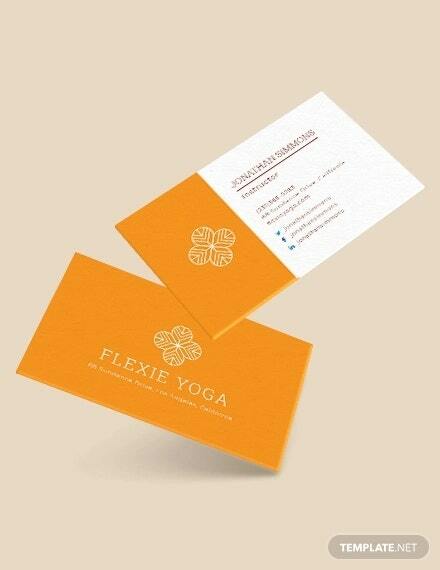 You may also see yoga business cards. 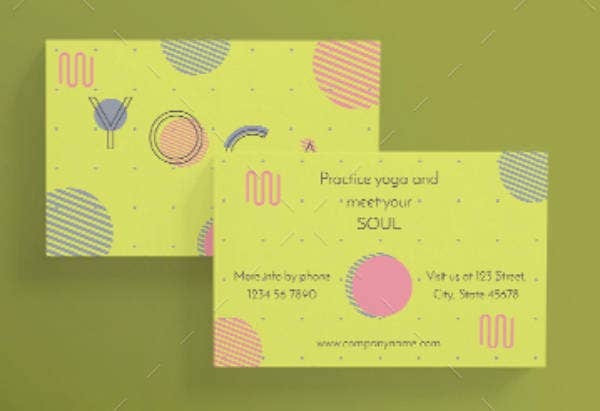 To be as specific as possible, a business card is a piece of pocket-sized card stock that contains an individual’s—usually a professional—name and contact details. 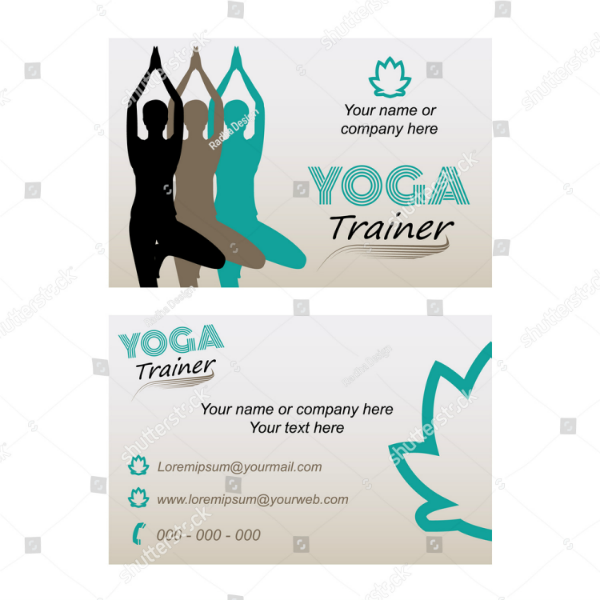 Business card examples are mostly used by business people and employees, though they can also be used by regular individuals simply for identification purposes. In the United States, the standard size for their business cards is around 3.5 by 2 inches, while in the United Kingdom, their standard is around 3.35 by 2.17 inches. But even with these standard sizes, people may be allowed to use other dimensions as long as the information on the card are large and clear enough to read. 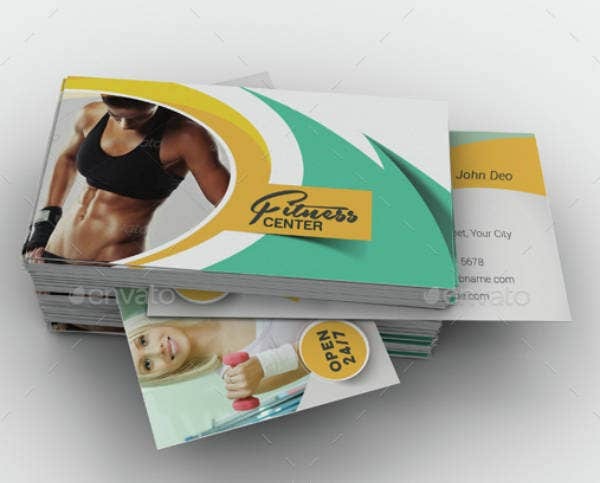 The use of business cards may often be taken for granted by many professionals and business people, some use them but don’t really understand their importance and others don’t even bother using business cards at all. 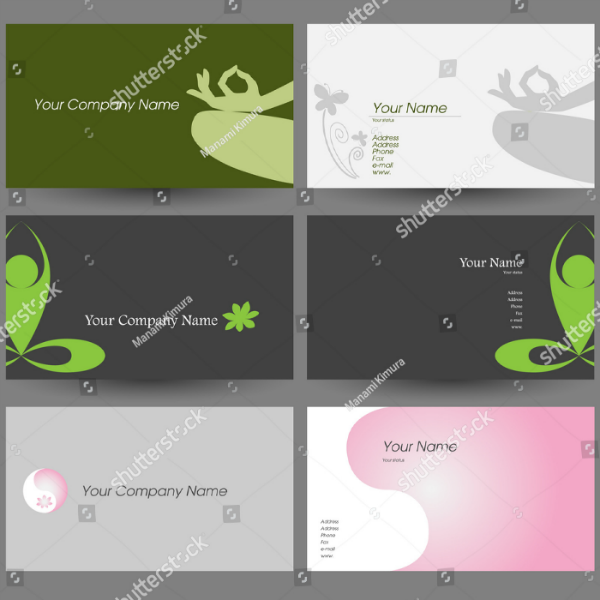 Even in our generation today, modern business cards are still being used because they actually work at sharing business or professional information in a highly formal manner. 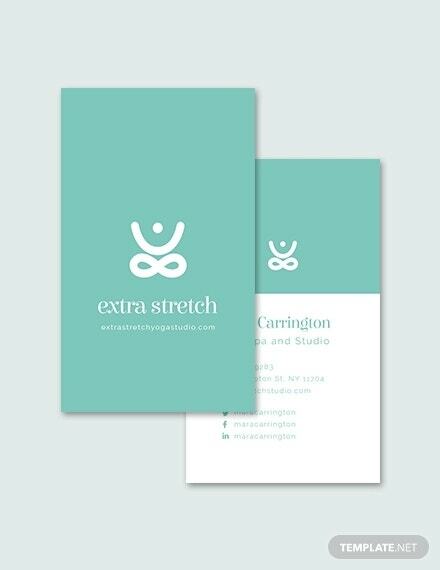 In fact, experts would even consider business cards to be the most reliable marketing tool that a person can ever use. This is the beauty of sharing or exchanging business cards, and you will never be able to do this through other means. When two people exchange business cards or when a professional gives a cool business card to a prospect, the process initiates a personal interaction that helps build a professional and trusting relationship. No person would want to make any business with someone who isn’t trustworthy, and that is a fact. With a professional and clean business card, it helps create a positive initial impression towards the business person and make them appear reputable, and this is one factor that can help convert prospects. At one point, you might just be talking about business or personal matters with people who you just met and in another, the topic may be taken to another level by discussing about deals and negotiations. 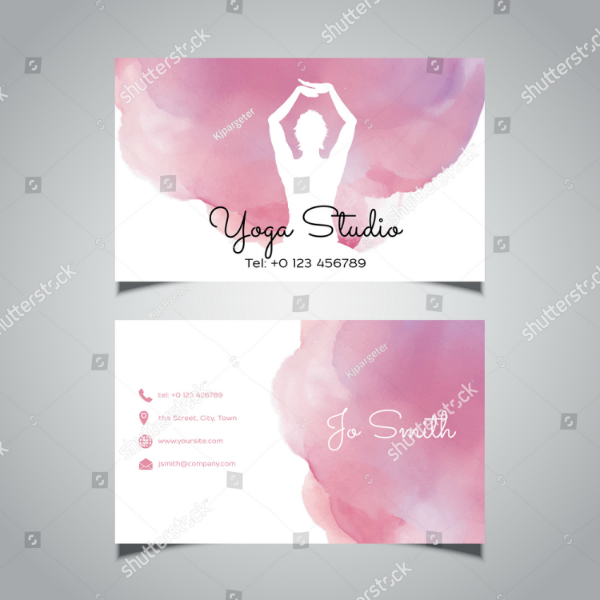 When it gets to this point, a business card will usually be used in order for the people to get in touch with each other, and the act of sharing it takes very minimal time. The cardholder will simply need to reach into their pocket to grab one copy of their transparent business card and give it to the other person, that’s it. 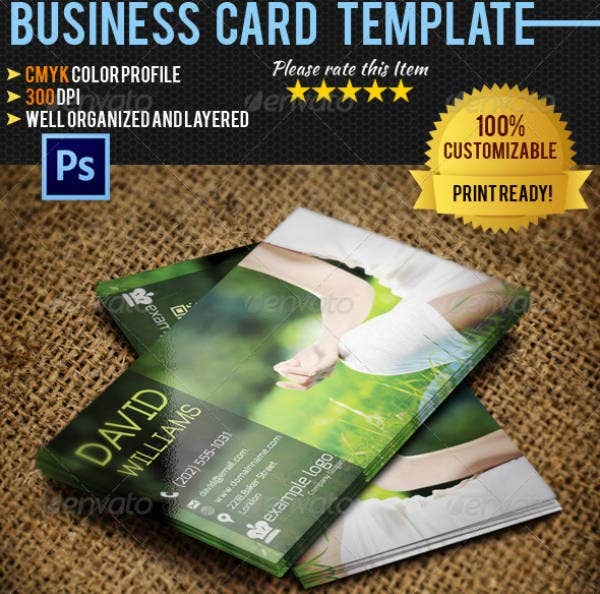 What Should be Included on a Business Card? 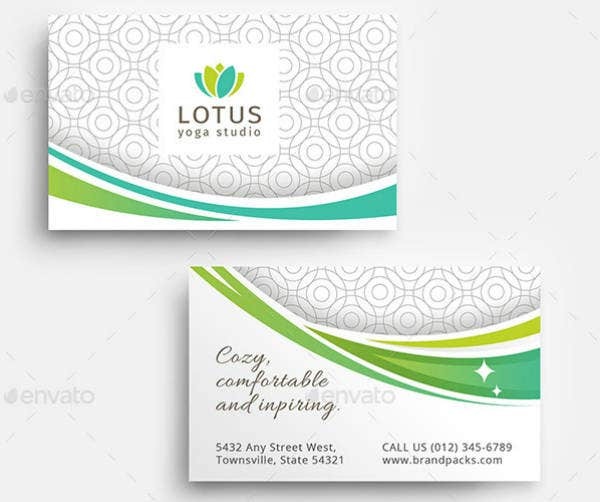 Now that we know what business cards are and why they are very useful as a marketing tool, let us now identify the elements that should be included on a simple business card. 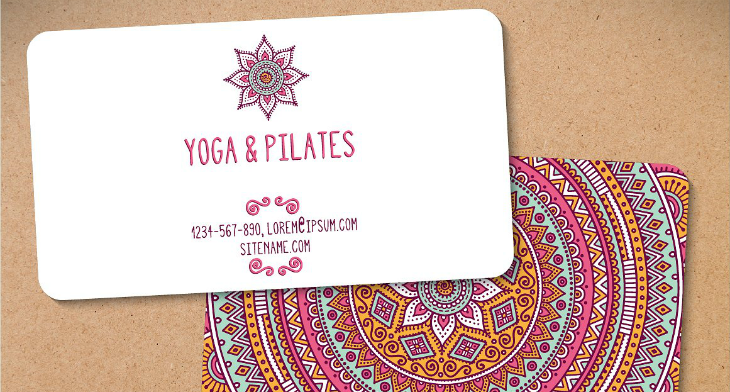 This way, regardless if you’re downloading any of our templates in this article, you’ll have something to guide you during the editing process and you’ll know what and what not to include on your business cards. 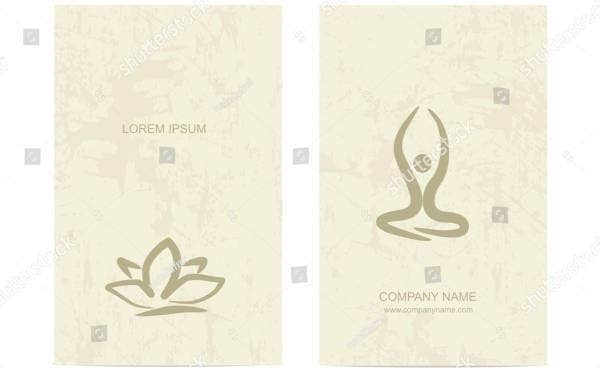 Most business cards bear the name of the individual who owns it, and this is usually applicable to personal business cards used by business owners and professionals. Occasionally, you’ll come across business cards that don’t contain a name, and this is to promote the organization as a whole. In relation to the previous bullet point, if a business card design doesn’t have the name of the cardholder, it should always have the name of the business or organization. This is usually the most prominent piece of information on a business card, mainly because it holds the identity of whoever or whatever entity owns it. A physical or mailing address is also an essential part of a PSD business card simply because it provides clients with an alternative if they opt not to do business online. This could either be the cardholder’s phone number, fax number, or both. Many luxury business cards contain more than just one contact number to provide clients with alternative methods of contacting the cardholder. We have the physical address for traditional mailing, and now we have the email address for those who prefer web-based communication or online transactions. Nowadays, the presence or an email address on a wooden business card is almost considered a requirement since it is one of the most convenient means of communication. If you’re trying to uncover the history of the yoga as a physical, mental, and spiritual practice, then it would lead us back to ancient India. 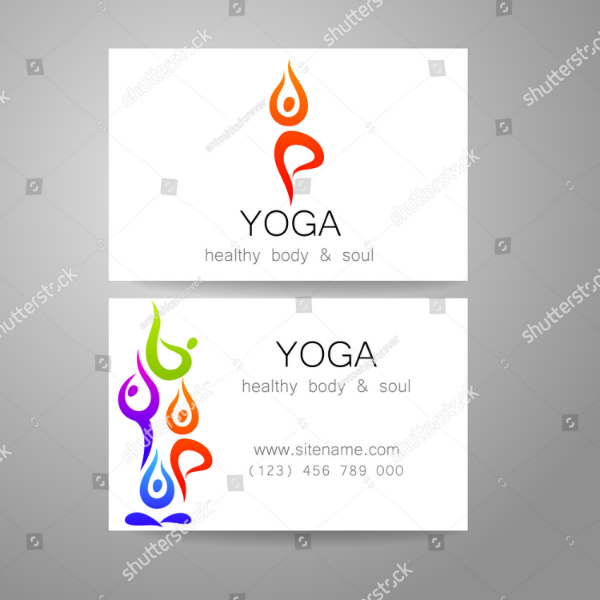 But if we’re referring to the exercise that has become very popular nowadays to health enthusiasts, then we will need to go back to the mid-19th century when the philosophy of yoga captured the attention of the western people. You may also like construction business cards. During the 1890’s, a Hindu teacher by the name of Swami Vivekananda toured all around Europe and the United States to disseminate aspects of yoga to their people. His teachings were well-received by intellectuals at first but then grew and was able to influence a larger audience primarily because of the corresponding theories and practices for both the physical and spiritual aspects of the body. You may also see transportation business cards. By the 1980’s, the popularity of yoga once again peaked and this is famously referred to as the second “yoga boom”. 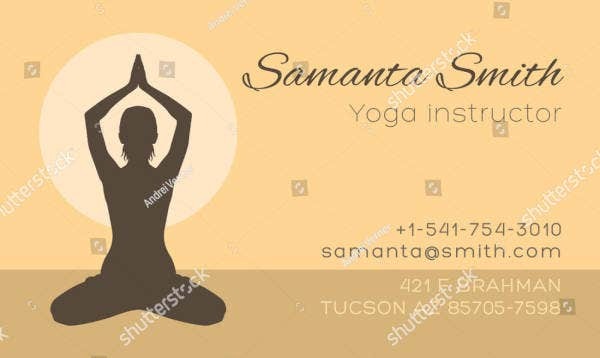 An American physician who was a follower of Swami Satchidananda—a religious teacher and spiritual adviser who became famous in the West—emphasized that yoga is unconnected to any religious denomination, and is rather connected to heart health. You can also read IT business cards. Since the early 2000’s, the popularity of yoga expanded starting in the United States, and then all over the world. Yoga has even gained the support from world leaders, who have stated that “yoga has crossed many lines of religion and culture, and has now become the universal language of spiritual exercise”. Indeed, millions of people today from all over the world have learned to appreciate yoga, and practice it in order to improve their health and overall well-being. You may also see tattoo business cards. As mentioned during this article’s introduction, yoga has a lot of health benefits for both the physical and psychological aspects. Now we get to know what these benefits are, though the information listed below are only some of the hundreds of benefits brought about by yoga. You may also see photography business cards. Yoga helps in increasing the body’s flexibility. Yoga can strengthen and tone the body’s muscles. Yoga can help in reducing and controlling the body’s weight. Yoga can improve respiratory and cardiovascular health. Yoga can maintain a healthy and balanced metabolism. Yoga can help in protecting and decreasing the body’s susceptibility from injuries. Yoga can help create mental clarity and calmness. Yoga can increase the body’s awareness of the surroundings. Yoga can help the mind to relax. Yoga can sharpen a person’s level of concentration. Yoga can help a person develop coping skills and become more optimistic. 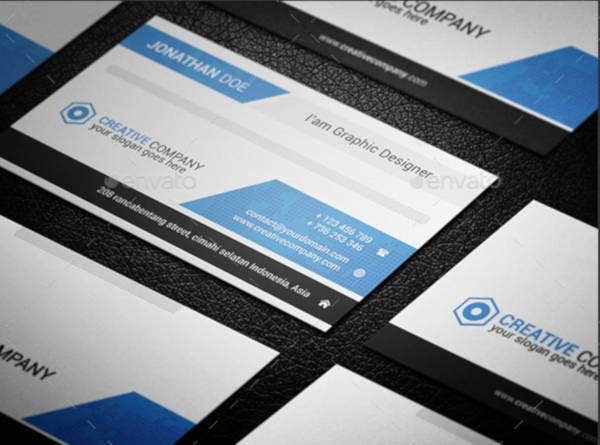 You want your professional business cards to be as informative and relevant as possible, and you took into consideration the guidelines that we have mentioned earlier in terms of what should be included on your business cards, but it is still worth sharing some of the most common mistakes that people commit when designing business cards. In order for you to boost the effectiveness of your business cards, here are some of those mistakes that you should avoid. 1. 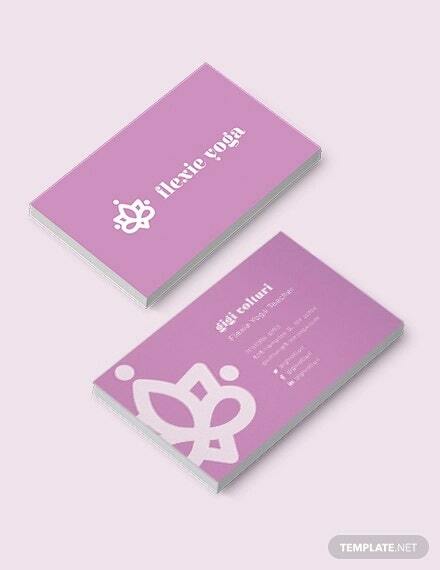 Effect: The business card will look overly cluttered and hard to read. 2. Solution: Include only the necessary information such as the ones mentioned earlier. 1. Effect: Clients might not be able to find the information they need. 2. 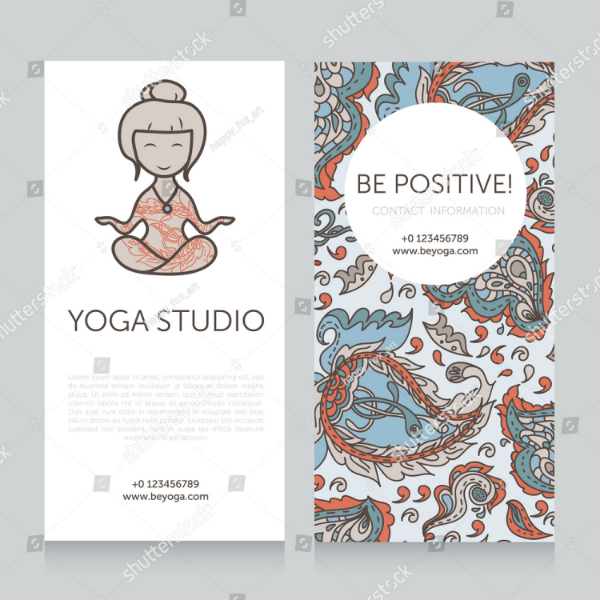 Solution: Even if you prefer to have a minimal business card design, make sure to include all important information, most especially the contact numbers. 1. Effect: It creates confusion in prospective clients and will probably lead them to ignore you. 2. 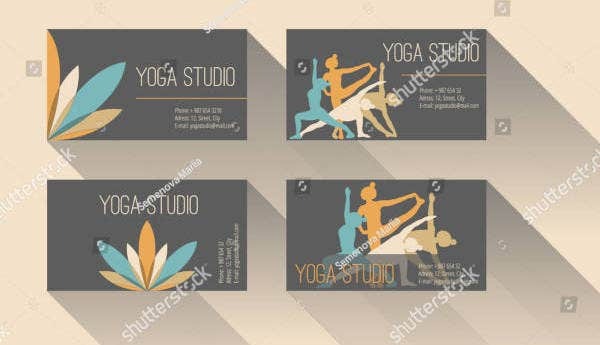 Solution: The color scheme, font, logo, and graphical elements on your business card should be consistent with the ones you used on your other marketing tools. 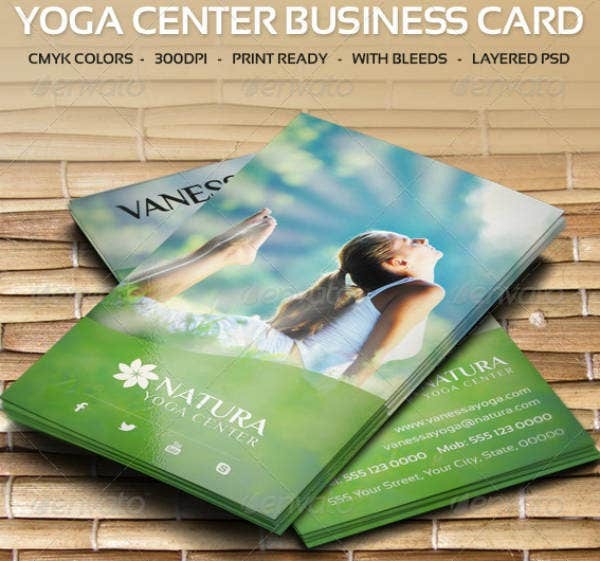 13+ How To Use Business Cards Effectively?